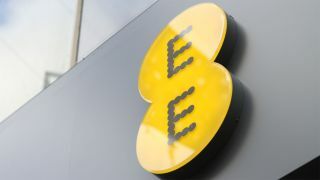 Everything Everywhere (EE) has become the UK's first network operator to offer 4G connectivity to international visitors. The company has announced this week that people visiting from abroad can now take advantage of EE's network. Due to an agreement with US comms giant AT&T, the carrier has become Britain's first to offer 4G to travellers from abroad. This is the second international deal that AT&T has made, following a similar arrangement earlier this year with Rogers of Canada. EE plans to launch additional partnerships around the world in 2014, which would give visitors from other countries a chance to access the network itself. There will be benefits for consumers at home too, as it has also been announced that the company will open free roaming 4G to UK customers travelling abroad in 2014. No specifics were mentioned as to where they may be able to do so, however. EE does already have a variety of roaming packages, but at present all of these top out at HSPA data speeds. Olaf Swantee, chief executive, argued that tourists "are increasingly looking for fast and reliable mobile experiences" when they travel abroad. "Technology is not just shaping how people book and research holidays, but what they look for when they are choosing a country to visit," he added. The 4G network released by Everything Everywhere was the first in the UK and has rolled out to more than 60 per cent of the country's population to date. The carrier anticipates that by Christmas more than 160 towns and cities will be covered. How much the 4G roaming will cost AT&T or EE subscribers has not been detailed. As of December 2013, EE's membership has doubled from last year to more than 1.2 million subscribers.